Need quality products for an online store that’s no risk and all reward? Origaudio has got you covered! 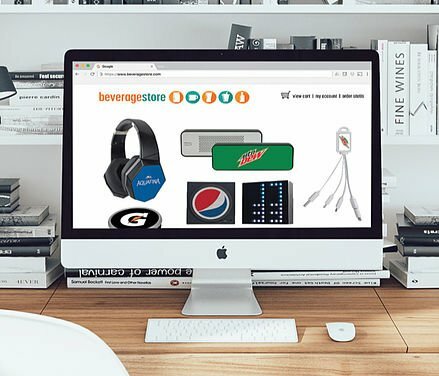 With several one-piece minimum products, we’re the perfect fit for online brand merchandising stores or even employee safety or merit programs. Best of all—one piece minimum! Select the Origaudio items you would like to add to your existing online store. Any item in our catalog with a one-piece minimum qualifies and choose as many as you’d like! There are no minimum requirements or maximum limits. Send over the artwork you would like on each product. Remember that artwork can be different for each item. Our team of designers will turn around free virtuals for each product you select and ensure you’re happy with how everything looks. Set pricing on each item and make things live on your storefront site. Now just sit back and wait until an order is received. Please note that Origaudio does not create online stores. We just provide the product, virtuals and fulfillment portion. Once an order is received, simply send us an order confirmation and we’ll take care of the rest. We’ll fulfill and dropship the order all within 2-3 days of when it’s placed. And no need to think small! We’re used to dealing internationally and can dropship all over the world.